﻿ Inside Barcelona Apartments Esparteria Barcelona. JIMAT di Agoda.com! Ada soalan mengenai Inside Barcelona Apartments Esparteria? Dengan lokasi mudah di Barcelona, Inside Barcelona Apartments Esparteria adalah tempat yang hebat untuk menjelajahi bandar yang menarik ini. Dari sini, tetamu boleh menikmati akses mudah kepada semua yang bandar meriah ini boleh tawarkan. Pelawat yang datang ke hotel boleh melawat tarikan utama di bandar ini seperti: Alexis Fasoli, Florita Gonzalez, Un Cotxe Menys. Inside Barcelona Apartments Esparteria menawarkan perkhidmatan yang sempurna dan semua kemudahan penting untuk menceriakan pelancong. Untuk keselesaan dan kemudahan tetamu, hotel ini menawarkan Wi-Fi percuma semua bilik, simpanan bagasi, penjagaan kanak-kanak, bilik keluarga, lawatan. 5 bilik di sepanjang 5 tingkat menyediakan suasana nyaman dan menyenangkan. televisyen skrin rata, rak baju, linen, cermin, sofa boleh didapati di beberapa bilik. Hotel ini menyediakan kemudahan rekreasi yang baik seperti solarium untuk membuat penginapan anda benar-benar tidak dapat dilupakan. 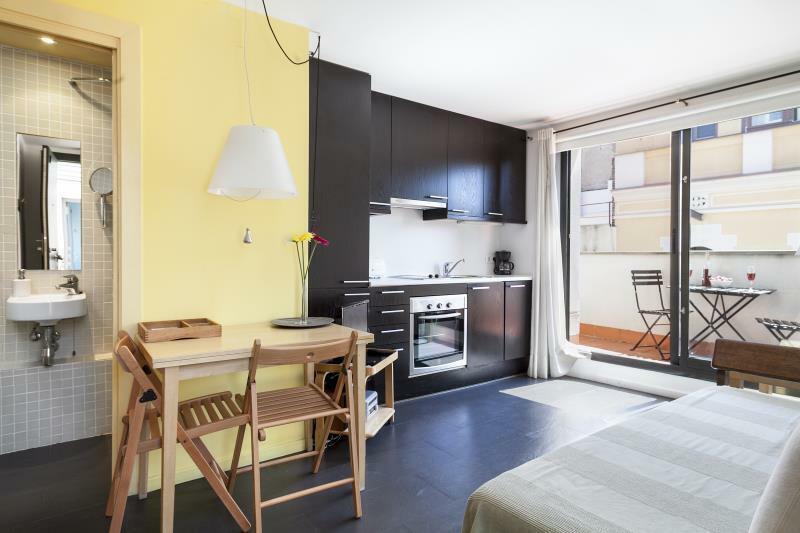 Inside Barcelona Apartments Esparteria adalah destinasi sehenti anda bagi penginapan hotel berkualiti di Barcelona. Kaunter penyambut tetamu dibuka dari 10:00 AM hingga 8:00 PM. Tetamu yang tiba di luar waktu ini diminta untuk menghubungi hotel sebelum ketibaan persiapan alternatif boleh diatur. Tetamu perlu meyediakan anggaran waktu daftar masuk kepada pihak penginapan sekurang-kurangnya 3 hari sebelum tiba. Tetamu yang tiba selepas 9:00 PM tertakluk kepada surcaj berjumlah EUR 25 dan ketibaan selepas tengah malam akan dikenakan surcaj berjumlah EUR 40. Nombor lesen penginapan ialah HUTB-000130, HUTB-000131, HUTB-000129, HUTB-000127, HUTB-000128. 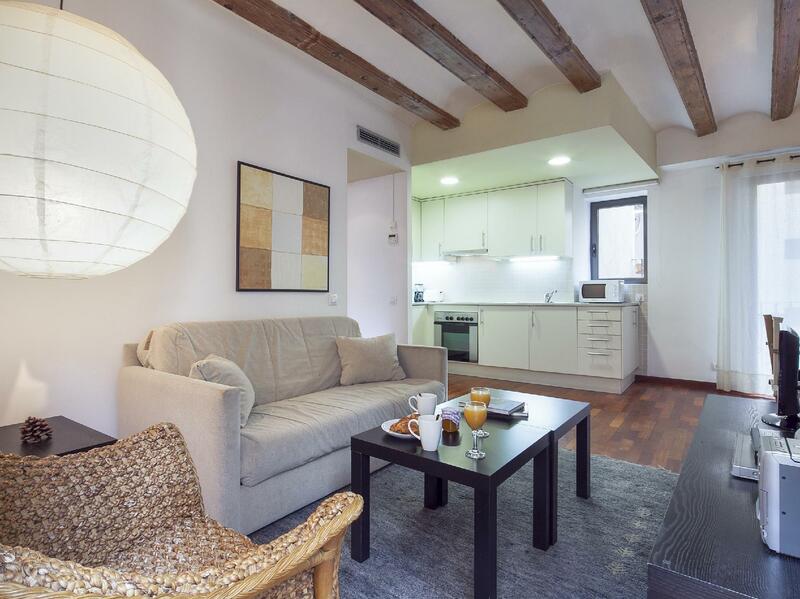 My husband and I really enjoyed staying at one of the Inside Barcelona apartments. Quick and smooth check-in, great location, clean apartment with charming little balcony. Would definitely recommend to other travelers! the location is perfect! the staff are absolutely wonderful & so helpful! gave us so many great suggestions on food / things to do! the apartment was super clean and had everything we needed in there! if i ever travel back to barcelona i’d definitely be staying here again! 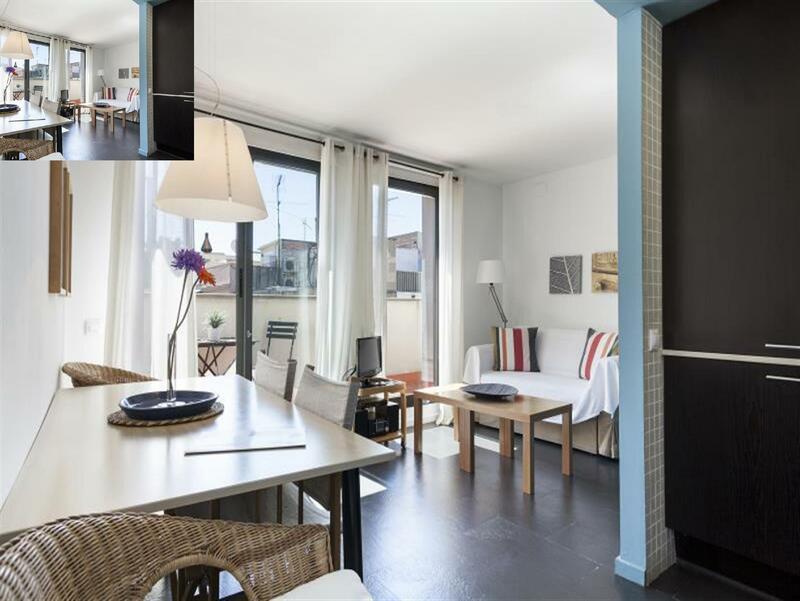 Great apartment, very clean and perfect location to walk everywhere to all the sites and beach. El Born is definitely the best area to stay. Cafes, bars, trendy boutiques and supermarkets on doorstep. Quiet apartment with everything you need. Would definitely stay here again and thoroughly recommend! Even though we are small in stature, the apartment was so compact that we kept bumping into things at every turn. And the elevator. Probably the smallest in the world. If you are big nd have a large luggage, both of you wouldnt fit! Defintely prefer the other apartment in Reigo. I loved everything about this apartment. The location was excellent because it's close enough to all the main sites but there are plenty of places to go in the evening that aren't your typical tourist traps. The staff couldn't be faulted and the actual apartment looks exactly like it does in the photo's. Would recommend to anyone going to Barcelona. The apartment equipped everything we needed such as kitchenware and staff were greatly kind. The area made me feel homeplace. If I come back to Barcelona I will re-book here definitely. We loved our stay and will definately book again next time we come to Barcelona. the location was perfect, very central but slightly set back so it wasn't noisy at night. The surrounding area was my favourite part of Barcelona full of wonderful little shops and cafes. Interesting and full of charactor. The apartment was comfortable, clean and well equipped. The staff were friendly and very helpful. Wish I could have stayed longer!! Location, security was fantastic, fully equipped. We had a great stay as it was close to La Rambla, tourist bus, Beach. The staff were very professional and you give a folder of information regarding places to eat, places to see and a map of Barelona. Location, apartment design and convenience to apartments if you had any queries. We had a great weekend visiting Barcelona, taking in some of the attractions, sampling the food and generally relaxing. We have a 4-year old who loved the whole experience, and having an apartment meant we could put him to bed and could still enjoy an evening together (rather than being in one hotel room). 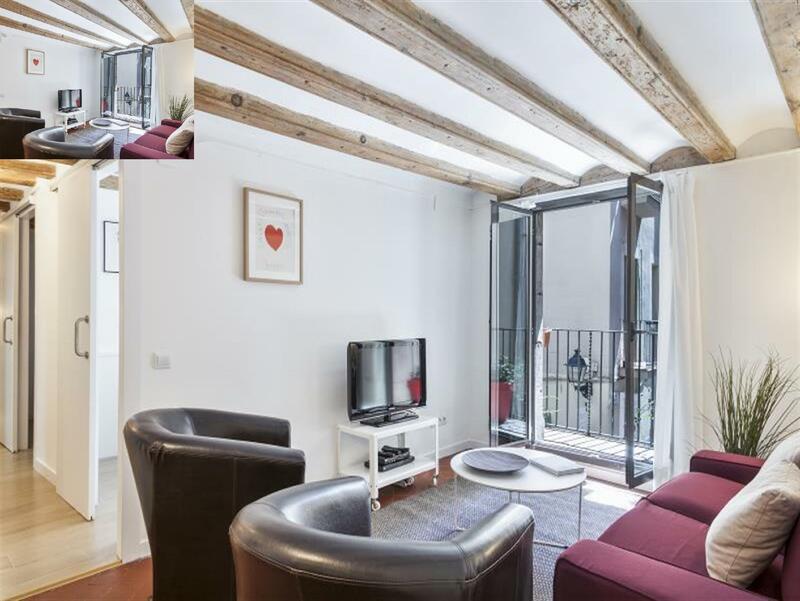 The location in Born is perfect - quiet yet with immediate access to bars and restaurants, Picasso museum, aquarium etc. great surrounding, nice apartment, and close to commercial area. The apartment was in a perfect commercial area to walk around and do shopping while eating local food. However, since it has lots of restaraunts and Spanyards / Catalans usually eat their meals at very late times, you could still hear a great volume of noise after midnight. The apartment has really thin walls and therefore I could literally hear the screaming / crying of the children from the neighboring apartment hosting a family (I presumed). The interior was amazing; homy yet simply urban chic. The kitchen was big but didn't provide any condiments for cooking so suggest before arriving you should bring your own if you wish to cook meals. Very friendly and profesional stuff. Location. All that you need. We were after terrible road incident and friendly support and atmosphere were very important. Stuff helped us not only by word but also by several very useful things (to charge phone, for ex., because our belongings were staying somewhere during 2 days). Thanks a lot!!! 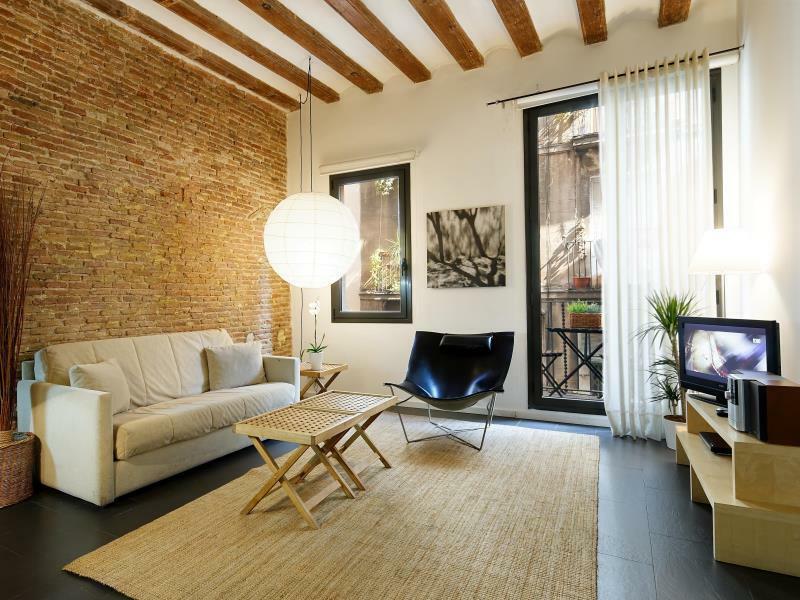 The apartment was in the old part of Barcelona in the middle of an area within walking distance to good restaurants, interesting shops and a variety of tourist attractions. The apartment was well presented, a good size and sufficiently equipped for the traveller. The staff managing the apartment were no less than fantastic - they were friendly, efficient and extremely helpful - nothing was a problem including advice on places to visit to assisting with bookings to tourist sites. Location. Staff very helpful and efficient. Good range of facilities.